Image Skincare is quickly becoming a favorite of mine. I’ve been using their The Max Stem Cell Facial Cleanser for about a month now, along with their Vital C products and I pretty much just want to bathe in the stuff! “The Max” skincare line is Image’s latest advancement in anti-aging using plant-derived stem cell technology. This exclusive line supports the skin’s ability to naturally defend itself against environmental elements while repairing cell damage. 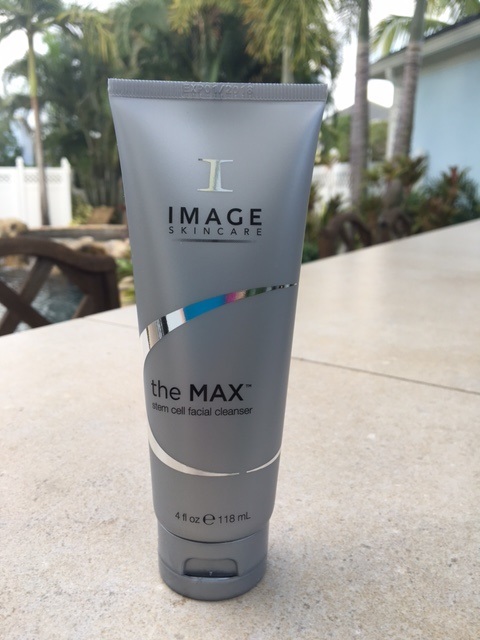 Image Skincare’s The Max Stem Cell Facial Cleanser is a gentle daily cleanser that is paraben-free, sulfate-free and acid-free. It works thoroughly but gently to balance and optimize the skin’s pH, extend cell life and slow the aging process. The Max cleanser is suitable for all skin types, including aging skin and sensitive skin. I have dry skin with redness when irritated and this cleanser has been perfect for my skin type. The directions for use is to wet hands and apply a liberal amount to face and neck. Massage gently for one minute and remove with warm water. Morning and evening. What’s interesting about The Max line is its unique ingredients! 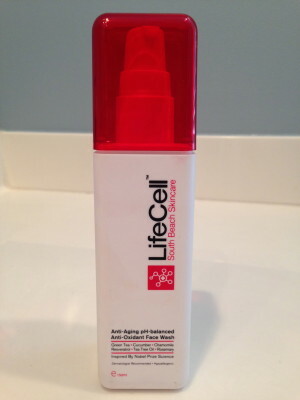 Using stem cell technology and nutripeptides, this cleanser will plump your skin and leave it soft and supple. If you gave “stem cell technology” the side eye, be assured it’s all plant derived! Plant derived Stem Cells (Apple, Edelweiss and Leucojum Aestivum) – This is how cell life is extended along with slowing the aging process. Polypeptide Complex – Blend of potent peptides for anti-aging. 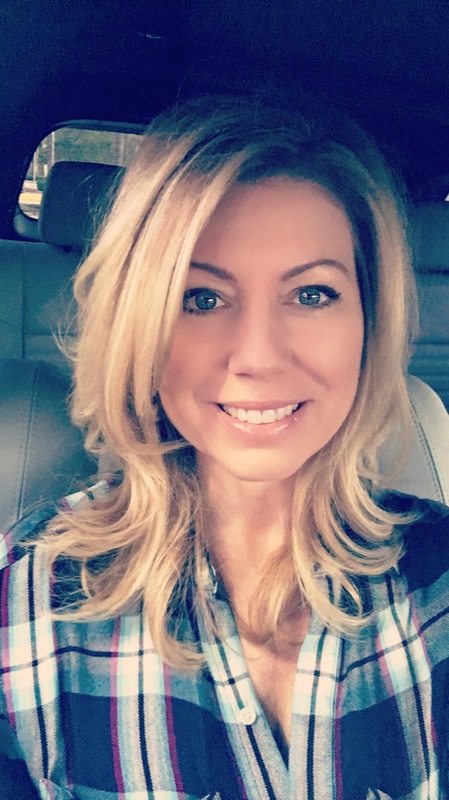 Argireline – Dr. Oz calls this ingredient “the best needle free alternative to cosmetic injections.” Argireline reduces facial expression wrinkles by inhibiting muscle contraction. Oat Kernel – Anti-inflammatory, reduces redness, soothing to the skin. Sodium Lauroyl Methyl Isethionate – A gentle, coconut derived surfactant that is sulfate-free. (Not to be confused with the harsh foaming agent SLS, Sodium Laureth Sulfate). The Max Cleanser does not contain Sodium Laureth Sulfate “SLS” which is the harsh foaming agent that we are warned to avoid in beauty products. To my knowledge, Image does not use SLS in ANY of its products. Big plus! 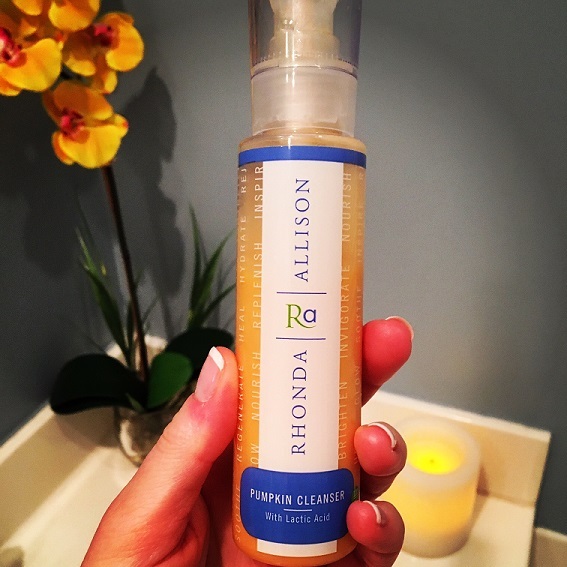 I knew I would love this cleanser the first time I tried it! 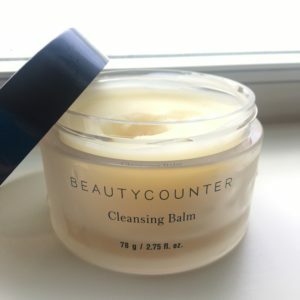 It has such a nice smell – sort of a light, fruity, fresh smell but not overpowering at all and there is absolutely nothing harsh about it, so it’s perfect for my sensitive, dry skin. I have been using this cleanser morning and night for over a month now, and my skin has been looking fantastic! The consistency is silky and smooth and foams up just enough. Since my skin can be dry, using a cleanser that doesn’t strip my face of all its natural oils is key. It always leaves my skin feeling balanced, calm, supple, soft, and thoroughly cleansed. The Max Cleanser is a perfect cleanser to pair with a clarisonic brush for a deeper exfoliation. I usually do this about 2-3x per week. If there’s one drawback to the Image Skincare line, it’s that you can’t buy it online or in retail stores. Image Skincare is exclusively sold at spa’s, high end salons and Dr.’s offices. It’s easy to find a spa near you however! Just visit the Image Skincare official website and use their locator map. You’ll be surprised how many spas carry the Image line of products right in your city. 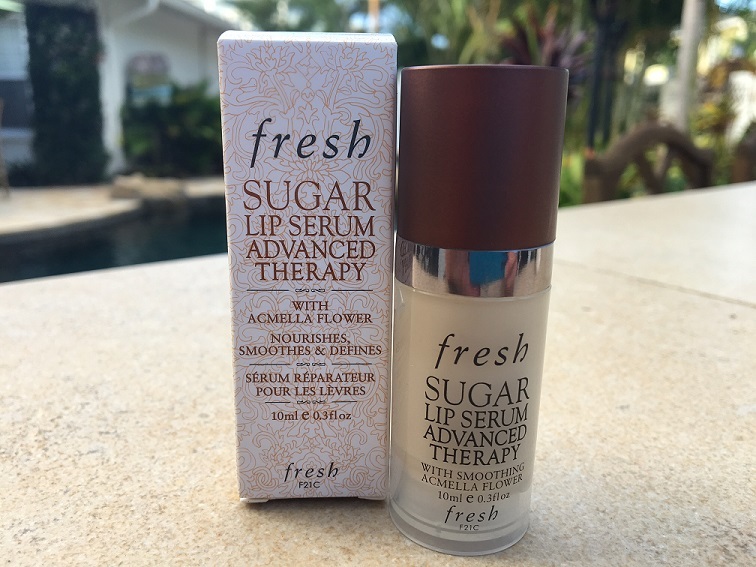 The cost is about $24 for a 4 oz tube which should last you at least a couple of months. Beware of Image Skincare on Amazon or Ebay – they are not authentic! Just like the fake purses sold on the streets of New York, the Image line is copied and these products do NOT carry the same ingredients. They look the same, but are not…. I am a huge fan of Image Skincare and I highly recommend their products. They have something for every skin type. The Max Stem Cell Facial Cleanser is gentle enough to use twice a day and will leave your skin clean, supple and with the perfect pH balance. This is a cleanser which is suitable for all skin types, especially for aging or sensitive skin. I even wash my eyes with this cleanser – it’s that gentle. I just purchased a trial pack of the entire The Max line (including the serum and cream) so I’ll bring you those reviews soon! 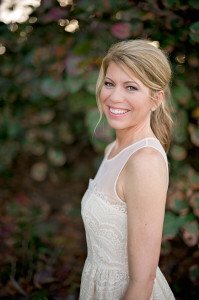 Here are some additional Image Skincare reviews if you’re interested! Have you used The Max Cleanser? Leave your review or ask a question below!